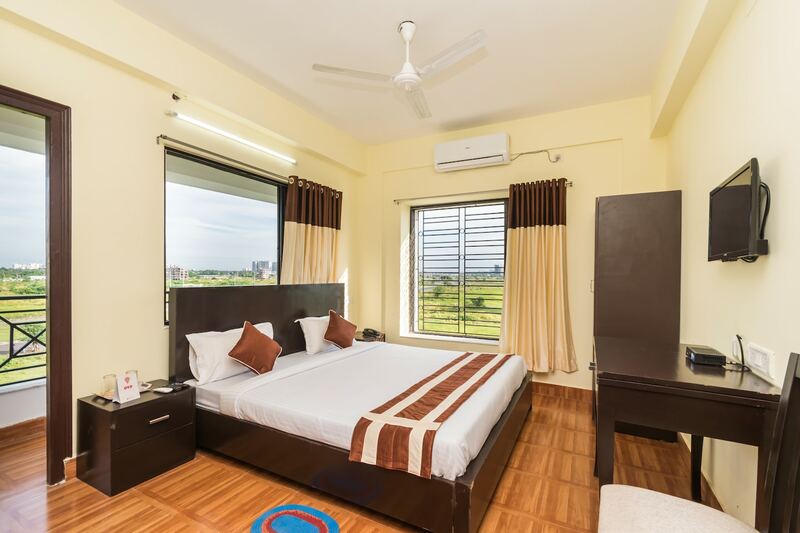 Rajarhat is very famous among travelers visiting Kolkata and looking for an accommodation option within reasonable prices. The hotel is located in the posh locality of Rajarhat in Kolkata. The rooms are spacious and have been designed very thoughtfully. A lot of woodwork is involved in the room, and the colour combination used in the rooms is monochromatic in nature. The notable addition to each room are the large windows which allow a lot of sunlight and fresh air. The additional features provided by the hotel are free Wi-Fi, parking provisions, card payment in all forms, CCTV cameras, and an elevator facility. The front desk service is also elegantly decorated and is handled by helpful and experienced staff. The hotel is surrounded by a number of essential facilities such as Apollo Bus Stop, Derozio Memorial College Bus Stop, KFC, The Cream & Fudge Factory, Astra Towers, and Ritwik Lifestyle.